A 31-year-old Schaumburg resident was injured Saturday night when she fired a semi-automatic pistol at police officers from a window of her condo. 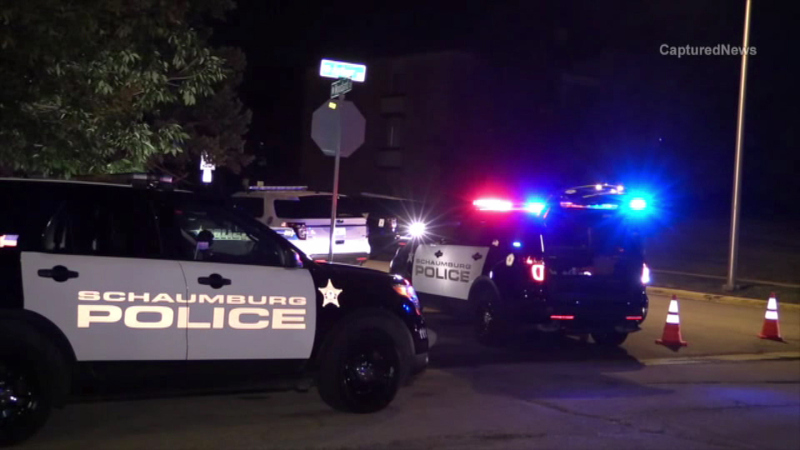 SCHAUMBURG, Ill. (WLS) -- A 31-year-old Schaumburg resident was injured Saturday night when she fired a semi-automatic pistol at police officers from a window of her condo, police said. At about 7:30 p.m., the woman's roommate alerted police in the northwest suburb via Text-to-911 that the woman was inside the condo unit in the 1700 block of Maple Place, holding a pistol and making suicidal statements, police said. The roommate allowed police into the unit and they found her sitting down with a pistol to her head. She refused to put the gun down and when she pointed at officers they left the unit. For hours, officers tried to convince the woman to put the gun down and exit the residence. Shortly before midnight, the woman fired at least one round out the window at police. She then exited her unit and shot at police officers in the condo building hallway. Police then fired back and she was hit twice. She was taken to the hospital with non-life-threatening wounds. The woman is under police guard at the hospital. The Cook County State's Attorney's Office is investigating and have not yet issued charges.